These days we all are talking about the next exciting technologies which will take the future by storm. Technologies like augmented reality, virtual reality & mix reality are now the talk of every tech event taking place around the world. I have heard people debating on which one is better than the other when the comparison doesn’t actually justify the points that they have been debating on with. But the important question is do we really understand the proper definitions of these tech terms? Even if it’s not clear to most of us, let me help you to have a more precisely defined idea about these terms. In this blog of mine, I’ll try to give a precise idea of these technologies, how developers have been working with these tech these days and how the future would take turns with them. First comes the definition. Let me make it simpler for everyone. Virtual reality replaces reality (which means, all you see is in the three-dimensional digital environment) whereas augmented reality adds to it. What you see in VR are not real and AR, on the other hand, blends the real world with virtual objects. Popup windows and buttons appeared to be floating in the mid-air. Now combining this AR & VR you can get a holographic experience which we term as the mixed reality. Mixed Reality or MR mixes the objects and animations as part of your view of the real world like they are supposed to be there. So when the virtual overlay becomes an object that you can interact with that is the idea of mix reality. Right now you can say hololens is the head-mounted device that is available in the market for experiencing mix reality. Now if we look into the industries where we’ve seen the use of these technologies are especially the education and training industry. But lately, we can see the automotive industry is using a great deal of AR applications for their customers to create a better sales impact. Also, the big real estate companies around the world aren’t laying back while using the VR, AR or Mix reality on a greater deal. Initially, people were saying VR technology will be confined to the entertainment industry. But when the AR & MR came in, the whole idea of their usability in different industries got changed. Therefore, the market for these technologies is showing a great potential for future business to take turns around these new techs. Number one- To make your customers understand about the impact that this technology will bring to their business. The benefits and cost-saving opportunities that they can have for adopting this tech. Number two- You need to involve gigantic budgets and massive resources for such projects. But not necessarily that you can’t start small. Yet, if you think of the long terms, for creating valuable benefits or savings to the companies you need good investments from their sides. We, Brain Station 23, have been seeing this technology has been used by advertising, retail, healthcare, education and other industries for quite some time now. And we’ve already been developing applications for automotive, real estates and few retailers company ourselves. So from our perspective, these technologies seem very equitable worldwide. Unity 3D is the engine we’ve been using for both application and game development in Brain Station 23. Then for Android development, Android Studio and Xcode for IOS development are being used by us for significant platform preference. We are also using Vuforia, EasyAR, Wikitude, ARToolKit, Kudan, Maxst (for SKDs ) for Unity 3D. It turns out that Unity 3D is an awesome engine which is highly preferred by the AR VR games and applications developers. Now, let me share some good sides of this platform for the point of view of the developers and what are the reasons for you to start developing with unity. It is a powerful cross-platform engine which enables the game and app development for 27 platforms and distinct devices in a user-friendly development environment. It provides a wealth of resources such as intuitive tools, ready-made assets, clear documentation, tutorials and online community free of cost to create amazing 3D content in the games. Rendering, Scripting, asset tracking and physics are some of the features of Unity 3D platform that reduce the time and cost of development and offers flexibility to deploy projects on multiple platforms. It’s free to get started with unity as it comes with both free and pro versions. It’s a cross-platform engine. Therefore, gives you platform independence adding more areas to serve through your built product on it. Unity 3D got a thriving and supporting committee so developers won’t get lonely or in the middle of the ocean. The Unity Asset Store is a great help for the developers as they don’t need to develop from scratch entirely. Multiplayer game development for both web and mobile are preferable and easy with Unity engine. Developers can learn & upgrade themselves with Unity’s amazing tutorial contents. It’s very easy to get started with Unity and see the instant result at any phase of the development in the editor without waiting for the final compilation. We’ve been developing the AR VR apps and games for our clients to help them become more efficient with their businesses and at the same time introduce the most creative tech alongside. 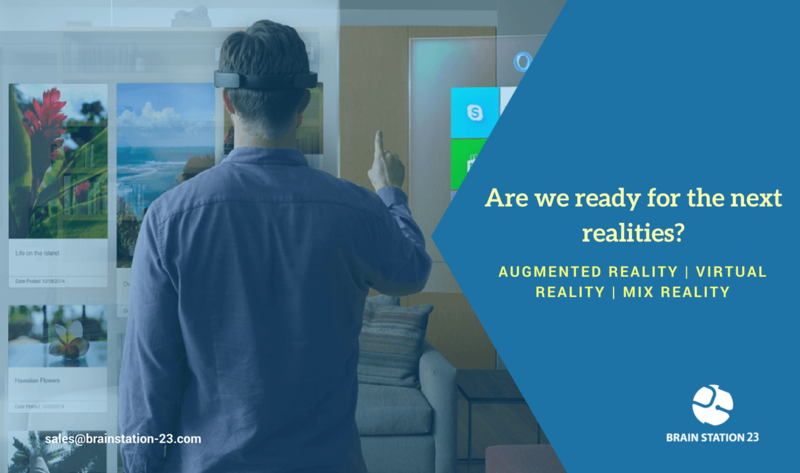 And there’s no doubt on the point that AR will be reaching to its full potential within the sooner future where different industries and this new tech will stand side by side making a synergy. 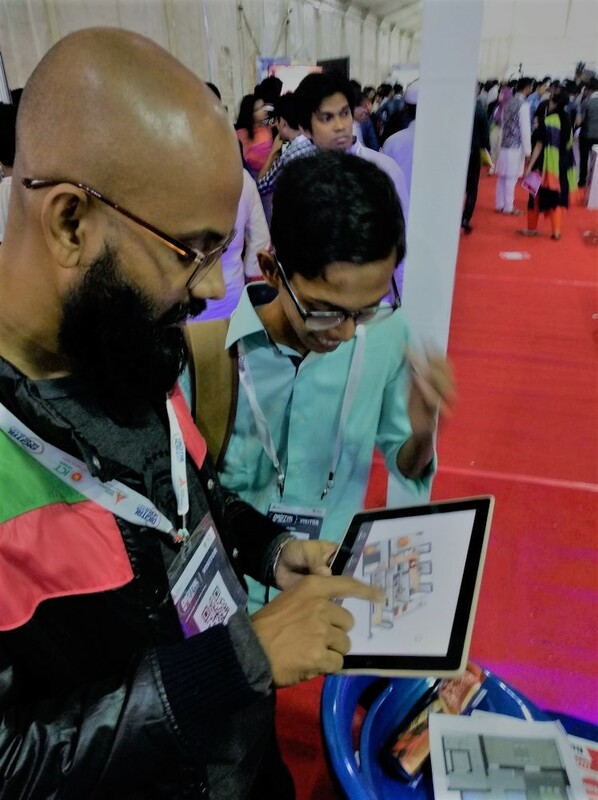 Here, comes the end of the long trailed answer of the day, yes it’s time we embrace the AR VR technology and experience and augment the power in every sector of our life to make it easier & better.